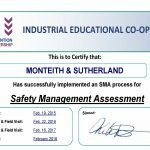 Monteith & Sutherland has successfully completed the Safety Management Assessment (SMA) certification program developed by the Industrial Education Cooperative, assessed by the Sarnia-Lambton Industrial Educational Cooperative (IEC). 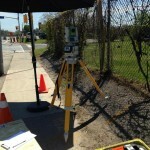 The certification is awarded after a 3-year audit process which includes annual reviews of company policies and field visits to observe safety in action. 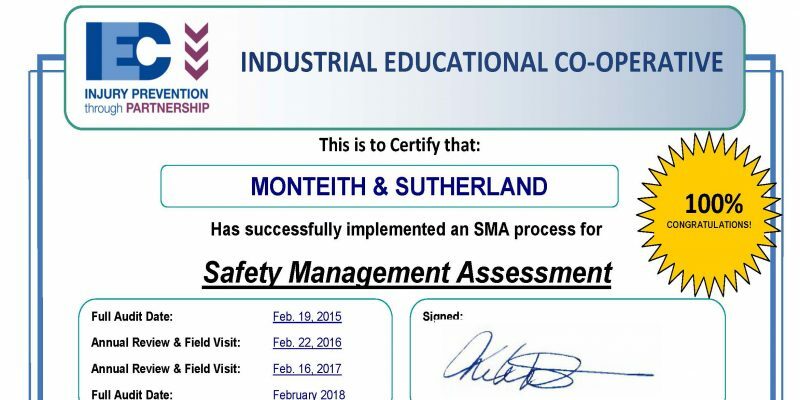 The SMA was created in 2002, and has evolved through a series of revisions to the current integrated audit format, which provides a comprehensive analysis of an organization’s safety management practices. 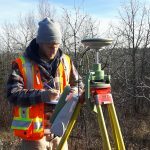 The audit consists of 12 elements that range from legislated safety management requirements to hazard identification and safety management practices in the field. 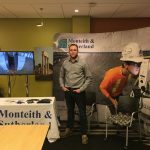 Today more than 250 local, provincial and national contracting companies complete this audit as part of the local industrial plant pre-qualification requirements.